Animated analysis shows that IPCC AR5 global warming prediction is lower than AR4, TAR, and FAR | Watts Up With That? I just updated my December 2012 IPCC “Arrows” animation based on the latest available IPCC AR5 (2013) Global Warming prediction for 2035. One good result is that the midpoint of the AR5 prediction range for 2035 is LOWER than the corresponding predictions for three out of the four previous Assessment Reports. Only the Second Assessment Report (SAR – 1995) has a midpoint lower than the AR5 2035 midpoint. The First (FAR – 1990), Third (TAR – 2001) and Fourth (AR4 – 2007) have midpoints for 2035 that are higher than the midpoint for the AR5 prediction! Thus, with AR5, the IPCC has, at least to some extent, “seen the light” and backed down a bit on their predictions of future warming. Animated Comparison of AR5 Warming Prediction to Previous IPCC Assessment Reports. 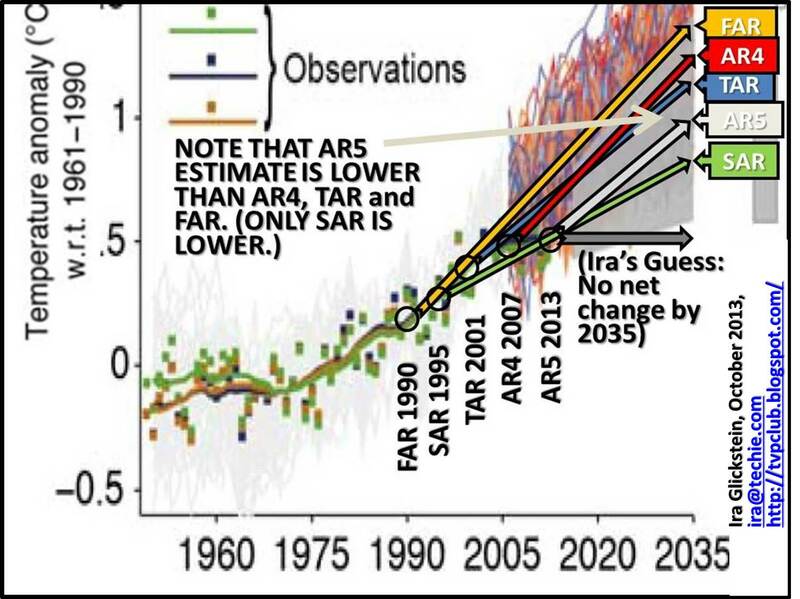 Note that midpoint of AR5 global warming prediction for 2035 is LOWER than FAR, TAR, and AR4. However, my guess is that “No NET Change by 2035” will turn out to be closer to the truth. It appears the IPCC has learned very little from the abject failure of any of their previous Assessment Reports to comport with the actual temperature record that shows no appreciable warming for 17 years. Without a doubt, IPCC analysis methodology and computer models continue to be seriously flawed. They have way over-estimated the extent of Global Warming since the IPCC first started issuing Assessment Reports in 1990. When actual observations over a period of more than two decades, during which CO2 levels have continued their rapid rise, substantially contradict predictions based on a given climate theory, that theory must be greatly modified or completely discarded. The Base graphic in the above animation is from the middle panel of TFE.3, Figure 1 (page TS-96) of the IPCC “WORKING GROUP I CONTRIBUTION TO THE IPCC FIFTH ASSESSMENT REPORT, CLIMATE CHANGE 2013: THE PHYSICAL SCIENCE BASIS, Final Draft Underlying Scientific-Technical Assessment. A report accepted by Working Group I of the IPCC but not approved in detail”, available here. My animation consists of four frames: 1) Base graphic, 2) Black circles that indicate the official Temperature Anomalies (w.r.t. 1961-1990) for the years the FAR, SAR, TAR, AR4, and AR5 were issued. 3) Arrows from the temperature anomaly circles to the midpoints of IPCC predictions for 2035, and, finally, 4) my guess for 2035, which is no NET change from 2013. The non-animated graphic illustrates the failures of previous IPCC Assessment Reports. Look above the “AR5 2013” black circle that indicates the current temperature anomaly and you will see that the arrows all pass well above that circle, with the sole exception of the SAR arrow, which is pretty close, but still a bit high. I call my projection a “guess” because, as a non-expert on matters of climate, I do not pretend to really know what the future holds. I only wish the IPCC and their allied “Warmists” and “Alarmists” were as modest about their lack of real knowledge about the distant future. 1) IPCC ECS estimates are two or three times too high. I believe the true ECS is closer to 1°C than the 2°C to 3°C claimed by the official climate Team. If I am correct about the true value of ECS, and if as expected CO2 levels continue their rapid rise (largely due to human activities such as unprecedented burning of fossil fuels), we will continue to experience substantially less human-caused Global Warming than calculated by the IPCC models. Given the stabilization of global temperatures for 17 years, in the face of the continuous rise in CO2 levels, it seems impossible that the claim that CO2 is the MAJOR cause of warming could be true. 2) Daytime clouds, thunderstorms and related natural phenomena have net cooling effects. The way these phenomena are modeled by the IPCC models is basically wrong. I subscribe to the Thermostat Hypothesis put forth in 2009 by Willis Eschenbach that these phenomena counteract some of the warming effects of greenhouse gasses. For example, thunderstorms tend to cool the Surface, daytime clouds increase the albedo (reflectiveness) of the Earth system, and, therefore, when thunderstorms and daytime clouds occur earlier in the day, or there are more of them, that regulates Surface warming to some extent. 3) We seem to be entering a downturn in the multi-decadal cycle of warming and cooling. There has been a general warming trend as the Earth recovers from the “Little Ice Age” which lasted from about 1350 to 1850. An approximately 60-year cycle of warming and cooling seems to be superimposed on that general warming trend and we appear to be near the beginning of a downward trend in that cycle, likely to continue for several decades. 4) The current Sunspot cycle is quite weak and may signal the start of a new cooling period similar to the Dalton Minimum. Cycle #24 has peaked at 67 in the summer of 2013, which is considerably lower than the previous cycle #23 that was nearly twice as strong and peaked in 2001. The Dalton Minimum, from about 1790 to 1830, had a series of low-peaking cycles which coincided with a period of cooling of about 1°C. If Sunspot cycles #25 and #26 are also weak, we may have entered a multi-decadal cooling period. According to Henrik Svensmark’s cosmic ray theory, changes in Solar activity that we observe as a series of stronger or weaker Sunspot cycles has an effect on cosmic rays which, in turn, has an effect on cloud formation. The net result is that weaker Sunspot cycles increase cloudiness, which, in turn, increases the albedo (reflectiveness) of the Earth system, which has a cooling effect. Thus, a series of weak Sunspot cycles could bring us some serious cooling that will counteract any Global Warming due to continued CO2 increases. ← The Sun Does It: Now Go Figure Out How! In stating that “the midpoint of the AR5 prediction range for 2035 is LOWER than the corresponding predictions for three out of the four previous Assessment Reports” the author draws a conclusion from an equivocation on the polysemic term “prediction.” By logical rule, to draw a conclusion from an equivocation is improper. Several other conclusions of the author are improper for the same reason. To draw a conclusion from an equivocation is an equivocation fallacy. For additional information on this fallacy in global warming arguments, please go to the peer-reviewed article at http://wmbriggs.com/blog/?p=7923 . They have made their predictions and those predictions seem to diverge from what has been observed. Seems like time will shortly tell what the truth is. Seven years from now it will be 2020 (OMG, how time flies!) and if the status quo continues then there will no longer be any overlap because their predictions keep rising into the future and so the tracking error ought to become more and more obvious as the years rumble by. Or they might be correct, and the observed temperature will rise. In any event, we know that even the “observed temperature” plotted on that graph is likely to be an overestimate due to poor quality weather stations and the correction factors in the sat data, which is likely to have been constructed to make a certain point. But trying to talk about that to the warmists is an exercise in futility – because those poor quality temperature records are the last straws to which they desperately cling. Those “predictions” are not predictions. All of the previous ‘predictions’ were not predictions. They were projections. Unlike predictions, projections are insusceptible to being falsified by the evidence. For proof, please see the article at http://wmbriggs.com/blog/?p=7923 . Yo’re right. But the projections are there so they could have a back door out. If their projections came true, they would say Our projections were right… then, they would claim credit for predicting this. They might even say, “we told you so”. Semantics, or polysemic – the word projections is pretty much as duplicitous as could be imho. Thanks for taking the time to share your view. “Projection” is duplicious when made synonymous with “prediction.” In this case, the word-pair projection/prediction is polysemic thus engendering the equivocation fallacy. This fallacy and not scientific research is the basis for the man-made-global-warming scare. I’m off on vacation. I’ll return to the fray in 5 days. @ richardscourtney October 11, 2013 at 1:24 am. I feel so violated! So if you’re not a sycophant then you must be a troll? I must respectfully protest. The question: “Where is all Easterbrook’s cold hiding?” is most pertinent. Unless you provide a causal process for the ‘recovery’ from the little ice age the claim that the recent warming is a recovery or rebound is rooted in an assumption of homeostasis unsupported by any evidence. The best guess would be that the Lia cooling would continue as the climate has been cooling steadily but slowly sonce the Holocene optimum 8000 yrs ago. 4) The current Sunspot cycle is quite weak and may signal the start of a new cooling period similar to the Dalton Minimum. If ECS is really small then the tiny change in solar output would have a negligible effect on the climate. The size of the change in solar energy is also much smaller than the energy change from rising atmospheric CO2. Postulating a small change will have more influence than a larger change seems nonsensical. Yep, looks like they keep on movin’ it on down the line. Gett’n really boring. Which reminds me, how about something a bit hotter right now? but do right, do right all the time …. 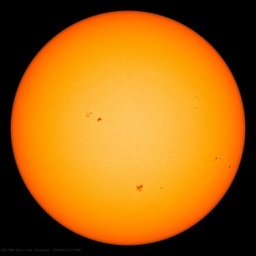 If the world does indeed cool due to another Maunder minimum, then, paradoxically it will perpetuate the AGW lies for even longer, because it’s protagonists will tell us that the world would have got warmer but for the lack of sunspot activity. Sadly we are then in store for another 40 years of taxes on flights, petrol and gas, more self righteous indignation by the clowns at the Met Office and IPCC and a revisit to the stone age as our economies crumble due to expensive energy costs. The Eemian (MIS5) was as warm and perhaps even warmer than it is today. So what insights might the NEEM ice core give us about what could be in store for us in the future? “First let me make the point that the Eemian . . . was indeed warmer. We have multiple lines of evidence for that . . . We also know that sea level was higher in the Eemian — in the neighborhood of 10 to 15 feet higher than today. Ten to 15 feet may not sound too impressive to us here in Colorado. But, for example, 10 to 15 feet would mean no Miami, no Norfolk Virginia, even Washington D.C. — the Mall would be underwater with 10 to 15 feet of sea level rise. You say “Unless you provide a causal process for the ‘recovery’ from the little ice age the claim that the recent warming is a recovery or rebound is rooted in an assumption of homeostasis unsupported by any evidence. The best guess would be that the Lia cooling would continue as the climate has been cooling steadily but slowly since the Holocene optimum 8000 yrs ago.”. There is a observed cycle of Bond ≈ 1.4 ka Bond events that goes back to the end of the last glaciation. bond events correspond to Dansgaard–Oeschger events during the last glaciation. it seems to me that the unsupported evidence is for something else to be occurring. 2 ≈2.8 ka early 1st millennium BC drought in the Eastern Mediterranean, possibly triggering the collapse of Late Bronze Age cultures. 3 ≈4.2 ka collapse of the Akkadian Empire and the end of the Egyptian Old Kingdom. @Ira Glickstein you have not correctly baselines any of the IPCC projections in your graph. This is the reason for the difference you are seeing. Errors like this will just be used to dismiss everything you say as nonsense. So important questions you also raise, such as why the models haven’t predicted the last 17 accurately, will also be dismissed. They are anomalies so he can adopt whatever baseline he wants. He has chosen the publication date of each IPCC publication which made the forecast as the start of that forecast. That can be argued to be correct. I would have chosen the publication date of AR1 for all the forecasts so their divergence was more clearly seen. You have not stated what you think would be the “correctly baselines”(sic) or why. I write to offer sincere congratulations. The effectiveness of your presentation is demonstrated by the infestation of trolls attempting to deflect the thread from discussion of it. Oldberg using his usual sophistry to pretend you have plotted nothing. izen raising any irrelevance he can think of. And James proclaiming you have made unstated “errors” that warrant ignoring of the cessation of global warming (discernible at 95% confidence) over at least the last 17 years. So far there have only been 17 posts in the thread and the trolls have posted 8 of them. Clearly, you have ‘hit the mark’. [THANKS Richard! Commenters like you give me the energy and encouragement to reply with courtesy to the others. Ira]</b. I disagree with you about CO2’s roll in any warming, but I do like your optimism and for that I applaud you. Should have been “role’ not roll. What was the Earth’s Albedo value in the ice ages? You can’t calculate CO2/GHG ECS in the ice ages without having a good estimate for Albedo. I don’t believe ECS exists except in the minds of the modelers. I agree with you that there will be no net upward changein global temperatures by 2035 and more likely a net drop . Here is my analysis. Now that it has been clearly shown that during the last 16.8 years rising levels of co2 do not raise global temperatures, there remain three major climate forcing factors that may shape our climate for the next 2-3 decades, namely a much less active sun, a changing global ocean SST cycle which is headed for cooler ocean surface temperatures and a cooling Arctic due to possibly changing deep ocean currents. Volcanic eruptions can also alter global weather but their effects only last for a few years and their timing is unpredictable. However whether you accept that the sun or the oceans or both as the prime climate drivers, both factors seem to point to a possible 30-35 year cooler period bottoming by 2035/2045 rather than unprecedented warming. If we are also entering the start of the trough period of a longer 110+ year climate cycle which seems to happen concurrently with three low solar cycles which occur every 100 years since 1790 or so, then we may have even colder weather than the typical ocean driven 60 -70 year climate trough. This was the case during, 1790-1820 and again 1880-1910 troughs which were colder than the 1945-1975 trough. In either case the winters may be getting progressively colder for the next several decades. We are currently and approximately where the planet was back about 1807 and again in 1885, just 2 years past the solar maximums of 1805 and 1883 of the first low solar cycles # 5 and again # 12. These were the first solar cycle in series of three low solar cycles. 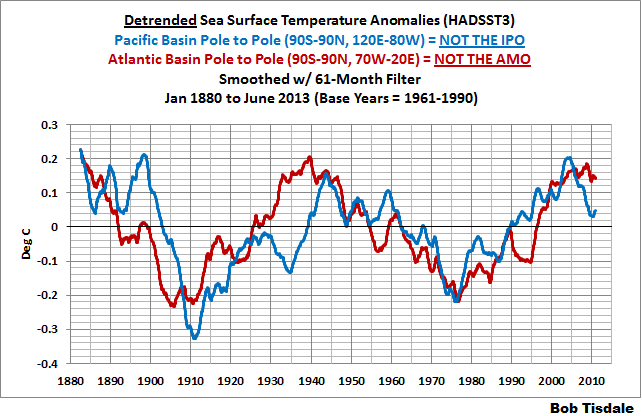 The ocean SST and AMO were in the cooling mode heading for troughs by1820 and 1910. The Arctic was cooling as indicated by Greenland oxygen isotope records. What followed according to CET records was a decade or two of cooler winter climate, starting at the end of the first and during the second and third solar cycles. Winters during the next few years may get colder and most likely by 2018/2020 will be much colder than today. The winters could stay cold for the next several decades. This colder period can be moderated by warmer El Nino periods which typically occur every 3-7 years, however, there are also fewer strong climate alerting El Nino’s during cooler periods [only one per decade]. Land locked areas like Central US, Central Canada (especially the Prairies), Central Europe and Asia which do not get the moderating effect of the oceans could have colder winters than the coastal areas. Given that the PDO just flipped in the mid-2000s its impact has yet to be fully felt. Yet, we have still seen modest cooling over this time. I’d expect more cooling (.3-.5C) until around 2035 and, if the lack of sunspots does have an impact, it could be quite a bit of cooling (1-2C). Keep those snow-blowers tuned up. They fail to show up in the global record in the most recent research of Marcott et al or the PAGES2k project. Perhaps they are a see-saw process as with the D-O events where cooling in one hemisphere is accompanied by warming in the other. There is certainly no evidence that the MWP was globally synchronous, or that these ‘cycles’ are any more regular in period and magnitude than the ENSO fluctuations that are inherently unpredictable but thermodynamically neutral. Blah blah blah… please go to the peer-reviewed article at http://wmbriggs.com/blog/?p=7923 . Thanks for the laugh, Terry! In attempting to pwn the author in logic, you have demonstrated your own equivocation fallacy by calling your post a “peer-reviewed article”.
. I agree with you. It is difficult to accept an ECS over 1 when every 60-70 years one sees a 30 year pause driven by ocean cycles as below . I tend to think that by 2100 the global temperature anomaly will still be below 1C as there is a possibilty that there will be two pauses of about 30 years before that date. Mario is correct IMHO. Whether you call it a “prediction” or a “projection” or a “prophesy” or a “guess”, and whether or not it is justified in a strict scientific sense, and even if it does not come true in the end, it is still a foretelling of something in the future. And, if against all odds and reason, it comes true, the author of the prediction can rightly claim credit. I read the link in Terry Oldberg’s comment and it seems to me he is engaging in a form of sophistry (Plausible but fallacious argumentation or a plausible but misleading or fallacious argument that leads the cross-discussion nowhere). THANKS for the kind words richardcourtney! In the past, I have engaged in useful cross-discussion with Terry Oldberg who, if I recall correctly, is a disbeliever in any form of warming due to CO2. Although he may never change his mind, I think these kinds of cross-discussions may convince some readers that so-called “greenhouse gases” are responsible for the Earth Surface being warmer than it would be otherwise and that therefore we humans are responsible for some small part of the moderate warming of the past century. Some of those on the other side confuse we Skeptics with the Disbelievers and I think it is important to make the distinction. For most of us here, our argument with the Warmists is not about the fact of the effect of greenhouse gases, or the role of human-caused Atmospheric CO2, but about the amount of warming we have caused and whether or not it has been harmful. We Skeptics tend to think human-caused warming is responsible for a fraction of the total warming and that it poses no real danger to life and civilization on Earth. Ira replies:I’m not sure what you mean by “paleoclimate” but let us assume you are talking about the ice core data. The ice core data shows that temperatures INCREASE hundreds of years PRIOR to CO2 level increases. That is, temperatures start to INCREASE when CO2 levels are LOW. The ice core data also shows that temperatures DECREASE hundreds of years prior to CO2 level decreases. That is, temperatures start to DECREASE when CO2 levels are HIGH. If the true ECS is as high as the official climate Team claims it is, how can we explain the ice core data? Furthermore, as everybody agrees, CO2 levels have continued their merry climb over the past 17 years, and, at the same time, there has been no appreciable warming. How can we explain that except by low ECS? It seems clear that NATURAL phenomena are counteracting the “greenhouse” warming due to increasing CO2. The IPCC models did not predict the stabilization in global temperatures over the past 17 years because their ECS values are so high that they overcome NATURAL phenomena. Ira replies:OK, others figured out the truth before our dear Willis. But it is still true, and I thank WIllis for pointing it out to me and others here at WUWT. Please provide more information on Lindzen and the iris hypothesis. I respect Lindzen and would like more info on how the iris hypothesis contradicts the net negative feedback of daytime clouds and thunderstorms. Ira replies: The LIA ended well before humans were capable of burning unprecedented quantities of fossil fuels. Therefore, at least the initial hundred years of gradual warming we have seen since the LIA must have been due to NATURAL causes. Ira replies:Please read up about Svensmark’s cosmic ray theory. It DOES NOT have anything to do with the relatively small energy change in Solar output over the course of a Sunspot cycle. It has to do with the effect of cosmic rays from Space causing the formation of clouds. According to Svensmark’s theory, as I understand it, a series of low Sunspot cycles is indicative of a reduction in Solar magnetic activity. Apparently, this Solar magnetic activity is responsible for deflecting cosmic rays away from our Atmosphere. When this Solar activity reduces, more cosmic rays strike the Atmosphere and create more clouds. In Scotland a poor marksman may well be defined as unable to hit a barn-door. The IPPC prior to AR5 had clearly demonstrated that unfortunate trait. Thanks to the new assessment this venerable body can now hit the target. Not that their shooting has improved however but because they’ve made the barn-door much, much larger! If AR4 was memorable for GlacierGate then surely its successor will become famous for BarnDoorGate. As Curry notes, “all the models run hot”. I’d be very interested to see the ECS plug used in the ones at the lower fringes of the spagetti graph. The sad thing is the IPCC continues to issue reports that hide the decline in evidence that’s even slightly alarming behind vague pronouncements from authority designed to allow the alarmists to quote the purposely vague IPCC reports in order to justify more and more ridiculous policy decisions and erect more and more layers of bureaucracy while deriding those skeptical of global catastrophe. The poor people of the world suffer under the bureaucracy boot heel and most of the people of the world are at least inconvenienced by bureaucratic nonsense (but at least get the benefit of a world that is slightly warmer than it otherwise would be). Alarmist foot soldiers like Lewandowsky and Cook still get away with and applauded for slandering those skeptical of global catastrophe even as the IPCC produces reports that don’t implicitly endorse catastrophism but remains vague enough not to implicitly endorse reason. Just like Ehrlich they’ll be spewing their nonsense for years to come without ever being held to account for why nothing they say is actually True. How did that soapbox get in here and why am I standing on it? Then you would be perpetuating the CAGW scam. Why would you want to do that? Dr. Glickstein: Nice graphical representation of the -AR prediction/prognostication/whatever. The explanation also works well. I would like to propose my own definition. Each computer model is a projection. When you group them into a mean you create a prediction. I believe Gavin puts a high value on a model mean. Hold on… This statement requires a comment. Are you saying ENSO fluctuations cancel each other out –and that there is no evidence? Some here would beg to differ. Your article helps see where the pea (McIntyre’s phrase) is going to be in AR5, thanks. When I saw McIntyre’s original post on comparing AR5 SOD figure 1.4 to the final figure 1.4, the SAR’s prediction range and centering seemed very incongruously small/low compared to that of the FAR and TAR and subsequent ARs. Are you aware if there is any backstory about why SAR predictions were like that? It is as if there was some coordinating lead author revolt for less alarmism or something that yielded the SAR lower range and centering. . . just wondering. Glad to see you back Ira. We have to keep exposing and dismantling the “AGENDA”. I have a prediction that is not a projection: The IPCC will be folding its tent after this issue. They have iterated the same stuff five times and, like their steep curves in the face of even stoppage of warming for ~17 years (after only 17 years of warming that has caused all this fuss and expense), they are going to stall out. Even some of the notable CAGW proponents lined up at the gravy boat have started to see IPCC’s uselessness. Hi Ira. Haven’t seen you here for a while. Hope you’ll forgive me for placing some ‘rock n roll (the eyes)’ into your thread but whenever I see IPCC temp chart for the umpteenth time I have to stop and let off some steam, relax, before taking a more serious and restrained view of what they have done to it this time. Really appreciate those animated views you created. I’m sure that took some real time. Just to give you a totally different tack to consider, I’ll break ranks. You might not take this seriously or preposterous but random data does in fact do so to a high degree if random. Years ago and related to the markets, what?, the data on the world can compare to markets. Well yes, to a degree. It is said that the public in general always assumes the wrong assumptions following the then accepted recently formed consensus that the sharp uptrend is going to continue on, look at what it hasbeen doing, and they are the ones nearly always buying at a top. I’m sure you have heard of that saying. I spend over a year studying random data, or better forced random bounded data and how it ‘acts’, and if our world’s averaged global temperature (not a real temperature) is just that, unknownst to most, forced random bounded data it might lead to some surprises. I’m betting that Al Gore since he is so deeply embedded into markets and Wall Street may very well have known it was the opportune time to release his book and movie, always thinking timing. The signatures are all there and if our world’s climate system is in fact not dictated by the some 0.0000016 (~0.4%) human fraction yearly increase in the 0.0004 fraction level of carbon dioxide they may have very well done just that, bought in at the top. By that meaning the public bought the IPCC script, naturally, at the top. This characteristic is well known to some who study it. Only more time will tell but don’t be surprised by some small false upticks that just end up dropping to even lower levels than before, that is perfectly normal in such data types and to a great degree that is what past temperature graphs look like… forced random bounded data. Such patterns are very recognizable and always repeat at all time scales, though rarely some are false reads and that is natural, remember it is still random based, like from a chaotic system and no set rules are strictly followed. Interesting idea wayne, only I suspect the false uptick will be in the form of Hadcrut 5, sure to be in the works. Yes, I’ve seen what is happening there too. In a comment to Dr. Spencer, Joe Bastardi explained why he thought we would see temps not too far down the line back at the 1978 level and had to comment back and disagree with him –because of the unnatural adjustments made to the temperature records as they are now reported–. Sad state of affairs. I agree that the IPCC has lost much of its credibility, but I do not think well-funded, politically embedded organizations are likely to fade away quite as fast as we’d like. Unlike commercial corporations that depend on profit for survival, non-profit-dependent entities can go on way past their just expiration dates. That said, I am sorry that I have to differ with some of what Gary Pearce and wayne wrote on technical, scientific and philosophical grounds. TEMPERATURE RECORD: I am encouraged that technological advances, such as the satellite-based mean global temperature records, have kept the official climate Team from “cooking” the data as much as some of us believed they did in the past. They have, IMHO, cooled down much of the pre-1970’s thermometer record and cooked up some of the post 1970’s data, which has (again IMHO) added a data bias of several tenths of a degree to the supposed warming since the 1880’s. But, with the advent of worldwide satellite data, they are limited in how much they can distort the recent past and the future with what you call “false upticks”. SCIENTIFIC: Sorry wayne, but I do believe that the increase in Atmospheric CO2 from about 270 to the present 400 ppmv has had a measureable effect on mean global warming since 1880 of at least 0.1°C and perhaps as much as 0.3°C, and that most of that increase is due to human activities, primarily unprecedented burning of fossil fuels and land use that has decreased the Earth’s Albedo. The poorly named “greenhouse” effect is real and although CO2 only amounts to 400 parts per million, and other “greenhouse” gases such as water vapor contribute more to the warming, human-caused warming is also real. (2) The resultant moderate rise in global temperatures and CO2 levels are not at all dangerous and may turn out to have net beneficial effects. PHILOSOPHICAL: I Googled “forced random bounded data” and found nothing that I understood. I’d be pleased if you (wayne) would enlighten me. However, on the issue of “random”, on a philosophical basis I happen to be a strict determinist (along with Spinoza and Einstein). I do not believe there is any such thing as “random”. Random is merely a word we use when we are confronted with a complex system where we lack complete details about the input and output data and the processes and are therefore forced to use statistical methods. There is nothing wrong with using statistics because most real-world systems, such as financial markets, weather, and, most of all, Climate, are just too complex and have too many inputs and outputs for us to understand them well enough to use deterministic methods. So, I along with everyone else, use statistical analysis. Ira, I appreciate your using the words “I do believe”. Because, Ira, there are no testable, empirical measurements conclusively showing that CO2 is the cause of any global warming. Otherwise, I agree with your comments. How come nobody seems to know that this is just the 61-year solar barycenter motion? Any possible CO2 component of the temperature rise recently observed has not been scientifically quantified. There is also considerable doubt about the accuracy of the ice core proxy ‘measurement’ of 270ppm quoted here; and even more doubt that the supposed increase to 400ppm was anthropogenic. Ira, I think you took me terribly wrong. Of course it is real. IR radiation in our atmosphere is isotropic, it is I bet I think the “greenhouse effect” is much higher that what you hold is true. Well, I might ask, do you still think it is 33°C? If so my view is it is much higher than that. My advice is don’t speak of others as if you know what other may currently think, some of those people actually progress over time far from what may they may have been said years ago that is when you first started writing here at WUWT. The statement you make “human-caused warming is also real” is unanswered to me yet unless you say our cities are warmer than outside in rural areas, that is proven, no doubt there. Or you might think all increase in co2 is human caused, I don’t see the conclusive evidence on that either though a portion is most likely in the reported increase. Seems you always want to put me in a labeled box and stick me on the shelf, careful, I change with the evidence as it comes in as I see it as correct and I have spent literally thousands of hours investigating this topic and far into the radiative physics aspects involved and always from various universities. Part of what drove me to delve so deep are some of your early posts and I’ll thank you for that push.